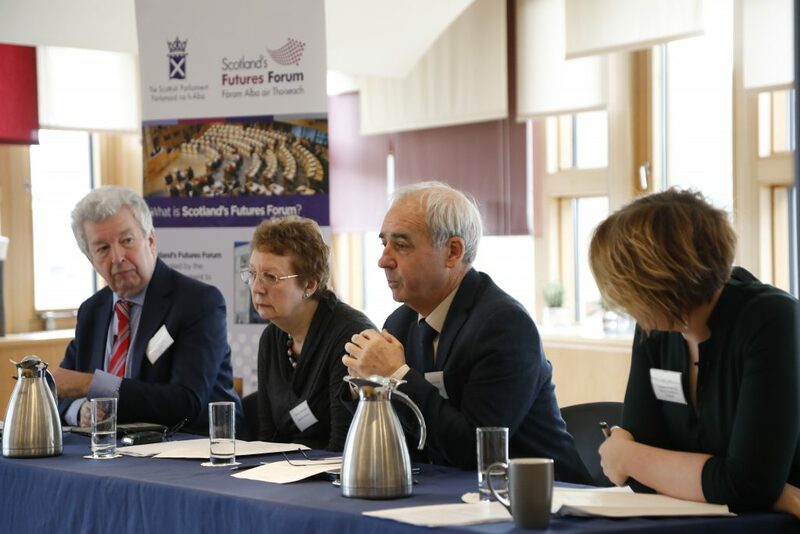 In conjunction with the Scottish Parliament’s Health and Sport Committee, the Futures Forum brought together a diverse range of people to consider the future for social care for older people in Scotland. The seminar was chaired by the convener of the Health and Sport Committee, Lewis Macdonald MSP. 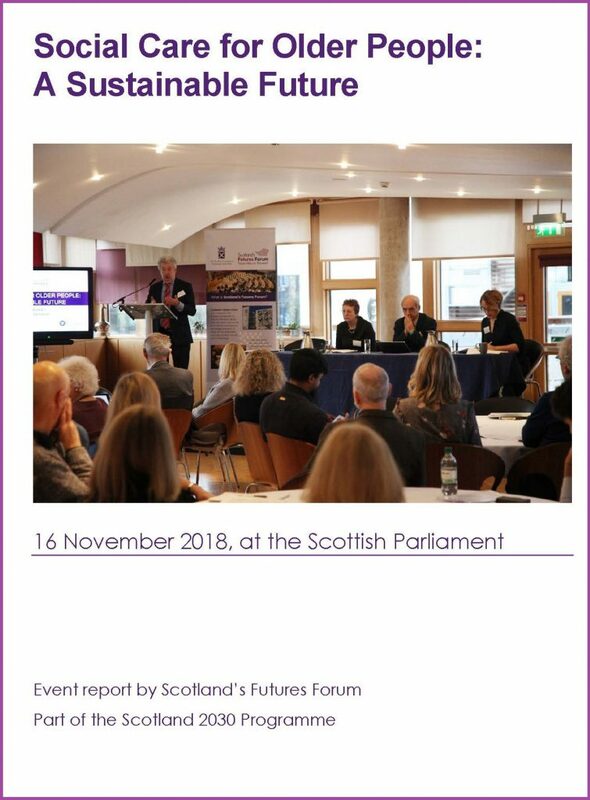 With an ageing population, challenges in public finances and changes in aspirations and expectations for our later years, Lewis noted that the future of social care in Scotland is a critical question for the Scottish Parliament and people throughout Scotland. The event involved three presentations from Professor Carol Jagger from Newcastle University, Professor David Bell from the University of Stirling, and Dee Fraser from the Coalition of Care and Support Providers in Scotland. Following the presentations, attendees participated in a workshop session on potential scenarios for the future. The report summarises the main points to come out from the presentations and the workshops.